Game publishers that sell games containing a multitude of microtransactions aren’t very popular with HEXUS forum members. The inclusion of microtransactions, and strings of paid-for DLCs after an AAA game release, seems a bit cheeky to our readers, who don’t like the idea of their wallets being continuously squeezed. One must bear in mind the game with the microtransactions, or upcoming series of DLC releases, might have already cost a fair wedge of cash to buy. However, gaming companies have seen excellent financial results from the use of both microtransactions and DLC sales. So the practice of releasing ‘games-as-a-service’, if anything, looks set to be a growing trend. Such a trend was predicted in the mobile games industry as early as 2007 in these very pages. Then, in 2013, EA Games first spoke of building in microtransactions into all its games. 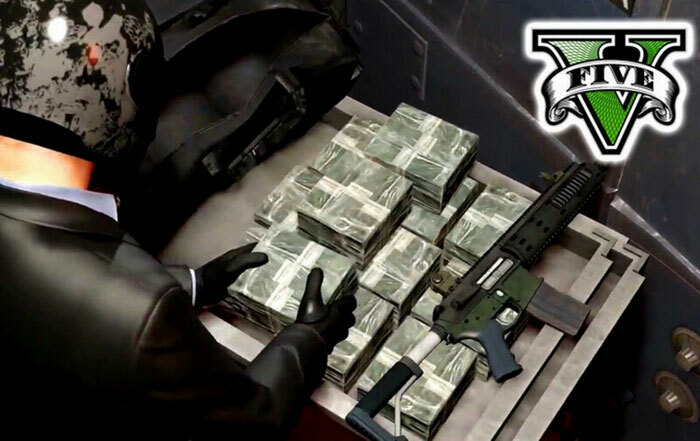 Take Two, the publisher of GTA 5, among many other titles, has recently published its earnings for investors. In the subsequent earnings call CEO Strauss Zelnick indicated that from now on his firm would solely publish games with “some ability to engage on an ongoing basis” and “recurrent consumer spending”. As PCGamesN reports, that likely equates to DLCs and microtransactions. Ubisoft also very recently published quarterly financials for the attention of investors. The headline result in the latest report was that Ubisoft raked in digital revenue of €342.6 million in H1 FY18, up 69 per cent year-over-year. However, the eye opener is that player recurring investment, or the sale of in-game items, DLC, season passes, and subscriptions, was responsible for €175 million during the same period. In a nutshell, 51 per cent of total digital income came from these after-sales income generators. In addition to the above two recent examples, EA Games states that it continues to push for “live service models on many of our games,” and Activision Blizzard raked in a record $1 billion from in-game purchases in Q3 2017. Proof that we have nobody to blame but ourselves. If it didn't make money, they'd stop doing it. Glad I've gotten out of gaming TBH when I read depressing crap like this. Old time gamers like me really have a hard time stomaching the direction that the videogame business has gone. It's just a complete and utter rip off now. Yeah, just means I wait until the ‘gold super complete edition’ is available for a reasonable amount a couple of years after the release, or I never buy the game. I guess I'm not the target market. In my younger days I spent (far too) many hours playing CS, improving and battling with and against friends (real and online). Do the youth these days pay to win against their peers? It is because too many people nowadays want instant gratification nowadays and will pay beyond the odds to do so. I mean look at all the paid alpha games,aka,as early access ones,where people are not only paying for a buggy game which is not even complete,needs far more hardware than you should to run it etc and they even willingly accept microtransactions in an incomplete game and then wonder why the game is full of bugs and takes years to be ever released(if it is ever released). Then on forums when people point out this is really not great,you guess the response- plenty of franchise defenders accepting it. What happens is that a younger generation of gamers thinks this is “normal” and accept it. It honestly shows you that people have no expectations nowadays and the more something is marketed the more people will throw money at it,ie,hype train rules over common sense. Then all the other devs look at this money train and think,lets release even more buggy games like this,plonk in some more DLCs and microtransactions,and see how little we can spend on R and D,whilst fleecing everybody and means its infecting more and more games. Games devs are not our mates - they are a business,so for them they want to spend as little as possible whilst getting people to spend as much as they can. People are just enabling them sadly. I'm fighting back by making the main transaction as micro as possible. I never buy a game these days until it's at least 40% off on Steam. I doubt I'd have had such patience in my youth though.